Papa Greg can make anything out of junk. 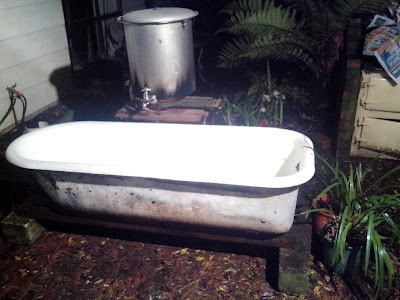 His latest is a gas-heated cast iron bath tub outside under their pergola. 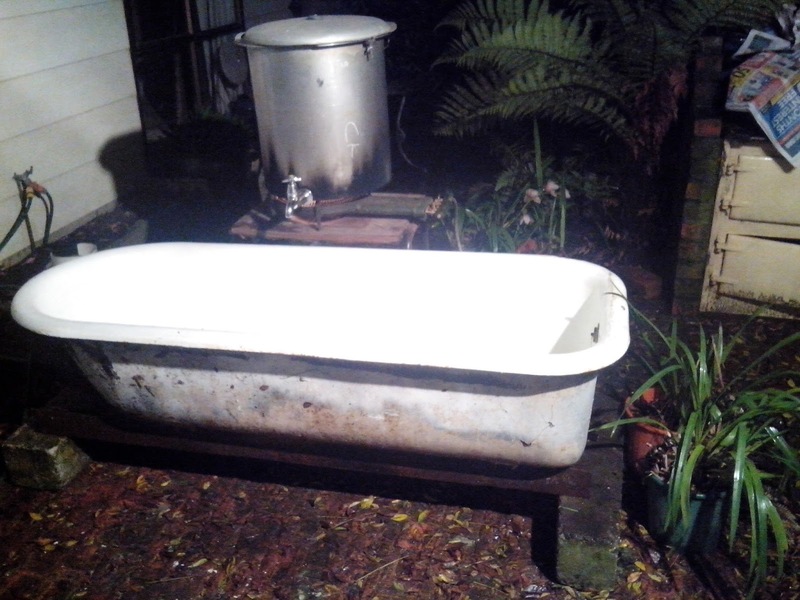 He fired it up tonight after getting the tub, for $50 from the junk yard, to test it out. Very rustic, possibly his best challange next to his hangi keg and the "Knights of the round table" family table. I'll take better photos tomorrow. Hubba wants a horse. She asked Papa and instead of him saying what I've been saying all day - NO - he told her that if we can prove to him that we can look after a horse, he'll get her one. Said he knows someone. I asked for a horse once. I asked for a horse too and didn't even get a bird!! I couldn't comment on your last post about church but totally agree. Sometimes we're good at looking after our own but forget others, I try to remember and serve others, but it's easy to serve where and when you're told.